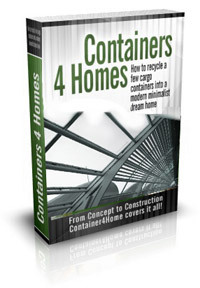 “Containers for Homes” provides you with the hard information necessary to learn all of the steps of designing and building with used shipping containers. Including the 3D CAD programs you will need to get up to speed right away. Learn how to modify traditional construction techniques to take advantage of the shipping container unique design, thereby reducing construction labor and materials costs – the most expensive aspects of home building.